I decided that the focus of tomorrow night’s Race and Ethnic Relations class should be about the linkage between African American history and contemporary race relations, including the differential life outcomes that are so contingent on black/white issues. So I spent a good chunk of the weekend developing a fly-over version of African American history. I’m covering a period of 400 years in three hours. Forgive me if I overgeneralize. I broke the history into four sections: Jamestown to the Emancipation Proclamation, Reconstruction to Brown v Board, Montgomery to the Voting Rights Act, and Affirmative Action (LBJ expansion) to Obama. In each period, one finds economic exploitation, political posturing, tensions between federalism and states rights, and occasional vindictiveness. Each time, someone takes a step to correct “the race problem” and then someone else reacts to that attempt. Eventually, the original attempt to improve the situation gets modified (emasculated might be a better word) by the Courts. It feels like little progress. The use of executive action seemed to be a recurring theme. The Emancipation Proclamation itself, Truman integrating the military, Eisenhower and JFK calling in federal troops to force Southern school integration, or LBJ extending affirmative action as federal policy. This is understandable. It’s not hard to see how someone concerned about a situation feels willing to take a step to ameliorate the injustice. Then I come to things like Reconstruction. What you have there is a vindictive group of Radical Republicans (not to be confused with today’s group) who wanted to punish the South for seceding. So they invoked laws that upset the racial order and imposed it from Washington. The minute that Reconstruction ended, Jim Crow laws start showing up to allow the South to do what they wanted and reassert self-management. I looked at the passage of the Civil Rights Act of 1964 and the Voting Rights Act of 1965. The former passed the Senate 73-27 but the South voted 1-21 against. Same pattern with the VRA: bill passed 77-19 with all 19 of the no votes coming from the South (if you count Robert Byrd in West Virginia). The outgrowth of this lopsided approach was Nixon’s “Southern Strategy” which kept race-baiting at the forefront of electoral politics and flipped the Dixiecrats into the Republican party. 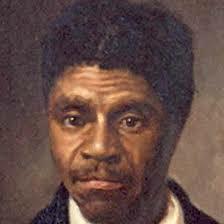 Earlier courts went to extremes in the Dred Scott decision or Plessy v. Ferguson. More recently, Courts have consistently taken issues like affirmative action and then chipped away at its intent. In most cases, the rights of the privileged were given priority over the rights of the marginalized that the originally policies purported to address. At the end of my review, I’m struck with a depressing picture. The African Americans who were supposed to be the focus of The American Dilemma, were used as pawns in battles between regions of the country or political philosophies. Little progress could be made because that would upset the balance of power that the factions were dealing with. If I’m right, and I desperately need someone to tell me I’m not, then there’s little hope for positive change on issues of racial equality. Because the powers that be will keep pretending that they’re pursuing policies to help African Americans when they’re really trying to win a political battle that furthers their own power. It will take a citizenry willing to say that racial inequality is unacceptable, that it is our future at risk, that we are willing to move beyond our own self-interests in pursuit of the common good. Not because that will show “those folks” in the South or the Republican party, but because our brothers and sisters of color require our action. John, how would you characterize the living conditions of early 20th century black Americans with those today, especially in relation to the predominantly white middle class? Have things improved? Honest question. Fair question, Chris. I think the answer is a little complicated. On the one hand, there is a more thriving black middle class than there was in, say, 1920. On the other hand, I think the data suggests that gaps between blacks “doing well” and those “left behind” may have increased in the intervening 90 years. (I’m tempted to riff on the decline of the middle class overall, but I’ll skip it). Another troubling pattern is the stability of the unemployment rate ratio by race. Whatever the white rate is, the black rate is twice that. The opposite is true with regard to prison sentencing. Can that stability be chalked up to coincidence? I think that we do what little we feel we MUST do and then pat ourselves on the back because we don’t have separate drinking fountains. Because “looking like” we’re making progress is more important to us than making progress. But I’m in a particularly cynical spot right now and will likely stay there until this course is over! Unfortunately the race and ethnic relation issues cannot and never will be solved in a rebellious humanistic world using politics, policies, judges, programs, religion or force. It is all a matter of the heart. Unless every person repents and submits to Jesus our Lord God and joins bride of Christ where size, shape, gender, color, race, ethnic origin, culture, or for that matter any other difference among all peoples melts away in relations with each other. God for saw this issue and the solution is already on its way when Jesus returns and puts all humanity at his feet (or in the unrepentful in a hell way under his feet). In the mean time, have hope, charity, love for your fellow man/woman even it the love is one sided. It was said 2,000 years ago “Love your neighbor as yourself”. Reed, I should explain that I have been strongly influenced by some very good theological writers. Check out N.T. Wright and Scot McKight, just to name two. Both make clear that we need to be focused on the Kingdom of God as it is unfolding and not just in a spiritual plane. As a sociologist, I obviously believe that politics, policies, judges, and programs matter. I think it’s clear that those things were avenues of God’s work among Ancient Israel, through the captivity and enslavement, and in the post-scriptural times. One of the challenges of the contemporary church is that we have separated too much of our thinking into individual spirituality on the one hand and justice for orphans, widows, and strangers on the other. There are lots of examples of people who believed they were right with Jesus who participated in racially divisive policies in South Africa or throughout American history. You’ve offered half the story when the real story is both individual compassion and social justice.